Companies are realizing the benefits of having a dynamic team of creatives under one roof. In just the past few years, multiple major brands like Marriott and United Airlines have folded their video-based marketing and PR work in-house. This isn’t an endeavor exclusive to the top brands, either. 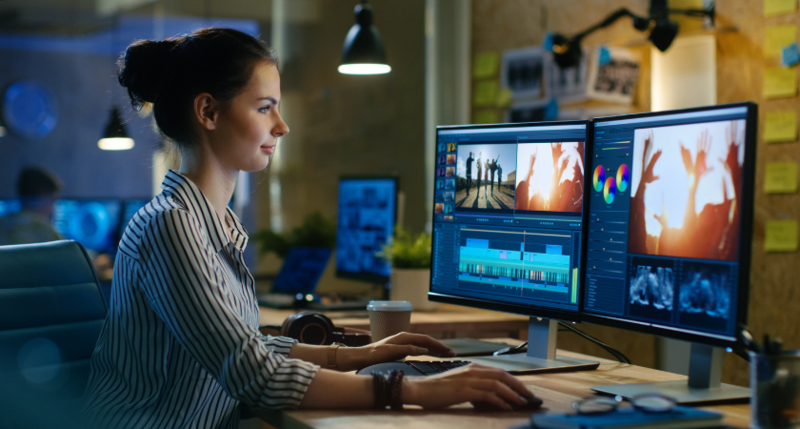 In a collaborative study, Ascend2 and Vidyard found that 72 percent of companies use a combination of outsourced and in-house talent to create video content, with only 21 percent solely outsourcing to a specialist. When it comes to video content creation, there are multiple benefits to hosting strategy as well as creative execution within your own walls. First and foremost, it will allow for greater volume. Instead of saving up for an occasional, high-production video, you’re able to incorporate videography into your daily routine. You can test out ideas, shoot episodic or candid content, and respond quickly to the changing concerns and themes of your industry. This allows your audience to join you on a creative journey, with each video deepening the brand-audience connection. This higher frequency of production also impacts the type of videos you’re able to publish. No longer restricted to the priority projects of traditional social and marketing use cases, you can use video to grow your business from a variety of angles: create a sales training series, celebrate your culture, send a message to your community. With an in-house team, you’re only limited by your imagination. By bringing video production in-house, you also have more control over the tone of your video content. Because you’re able to deploy a rhythm of regular content, you can develop a more personal, immersive voice. One-off videos become ongoing narratives that audiences can follow, building trust and credibility. What’s more, as your in-house team evolves, all of these changes build over time. By living and breathing your company culture, in-house creatives come to instinctively know which videos will work. They understand your business objectives, and by tracking performance over time, they can sharpen their approach, gaining efficiency that saves you money. 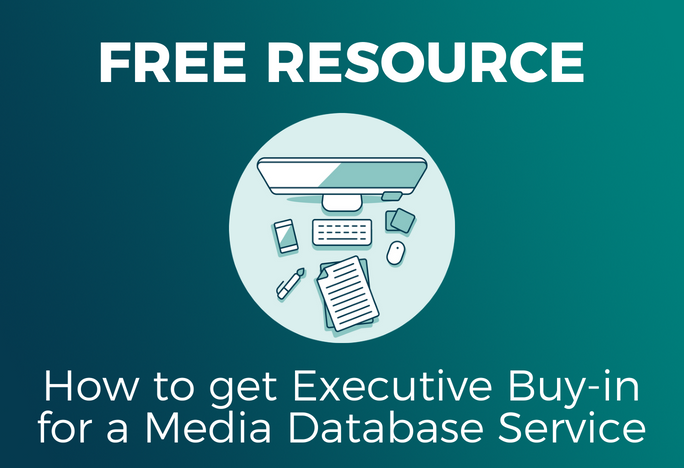 These kinds of benefits aren’t easily reachable when you solely outsource content. Outsourced videos may be highly polished and dependable, but they simply can’t tell the evolving story of your company or respond to the shifting needs of your audience — two of the most important goals for PR and marketing departments. 1. Use video to improve internal communications. Great brand storytelling begins with your internal team. Use video to make internal messaging more compelling and effective, connecting team members and departments as they work. Studies show that when companies use video to communicate internally, employee engagement rises. In fact, 75 percent of employees would rather watch a video than read a document or email. This is especially beneficial if your workforce is global or if you have remote team members. Keep everyone on the same page with video announcements, manage crises quickly with troubleshooting videos, or just give the team a morale boost. 2. Build trust as you build your brand. With a higher frequency of video content, you can focus on building trust by establishing a connection between your real life and digital communities. Your internal community is a great place to start. Use video to build trust with employees by making them feel valued and appreciated. This will, in turn, encourage them to advocate for your brand and become trusted voices themselves. Customers are naturally more inclined to trust individuals within your organization: They’ll reshare a branded post 24 times more if it comes from an employee rather than a faceless company. Keep building on this loyalty by sharing videos that depict your community involvement and social responsibility. If customers see that your brand actively cares for local causes, volunteers at the local homeless shelter, or organizes a charity event, their trust will deepen. 3. Humanize your brand through storytelling. People don’t just buy products; they buy into the people and culture of a company. Pulling back the curtain and exposing the real people and values behind your brand gives the audience a chance to connect with you. This might manifest in the form of employee spotlight videos. These don’t have to be movie-level quality. In fact, the more real they feel, the better. For example, DMC spotlights give employees the floor to discuss their position, background, and why they love working for the company — in under three minutes. Warby Parker is another company that knows how to leverage quirky, short videos — largely via Instagram — to highlight the human side of the brand. Browse its feed, and you’ll find everything from quick educational clips on health savings accounts to feature stories on real customers. 4. Invigorate your sales pitches. Showing will always beat telling, and in-house video can help you add an illustrative edge to slide presentations. Make pitches interesting and engaging by incorporating video to help viewers quickly understand your concepts and values. No matter your topic, old-fashioned sales decks can get pretty prosaic. And when you’ve only got seconds to pique a potential investor, client, or partner’s interest, videos can help you stick in their minds. Data from Indiegogo supports this, showing that campaigns with video pitches were 114 percent more successful than those without. 5. Add credibility to thought leadership. PR teams armed with video can make their leadership team stand out. Use video to gather your CEO’s thoughts and ideas in a rolling archive that adds credibility to the entire brand. Gary Vaynerchuk offers perhaps the most well-known example of this strategy. He’s built a loyal following by vlogging on his YouTube channel. His videos aren’t necessarily high production, but that’s what makes them so appealing to viewers. By documenting his daily life and work with quick videos, he was able to grow his $3 million wine business into a $60 million empire. He even calls people who watch his videos the “VaynerNation,” further reinforcing his connection to his audience. 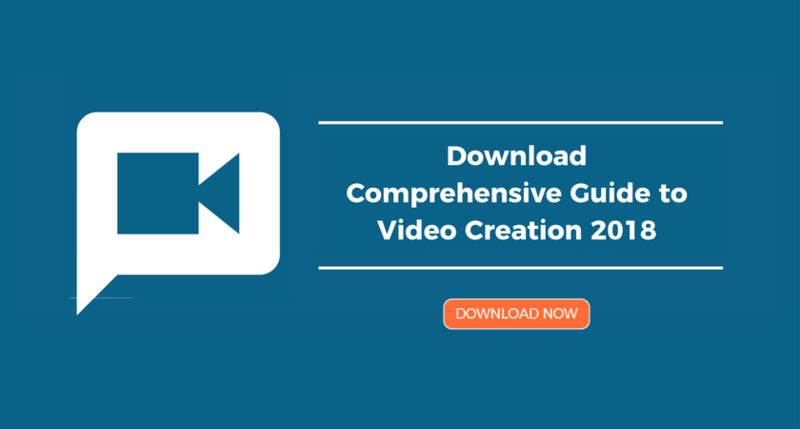 As we forge ahead into 2019, get closer to your customers, partners, and employees by swapping words for videos. Short of showing up on your followers’ doorsteps, there’s no more powerful and effective medium for connecting. And by moving your video creation in-house, you can magnify these benefits, helping your PR strategy soar higher than ever. Julia Farina is VP of marketing at Wipster. With Wipster, marketing and creative content teams can efficiently collaborate on video revisions, store them in a shared multimedia asset library, publish videos across a variety of tools, and easily understand the results — all in one platform.